Feature Glass such as water features, inlay glass and decorative glass is highlight to any house or commercial building. 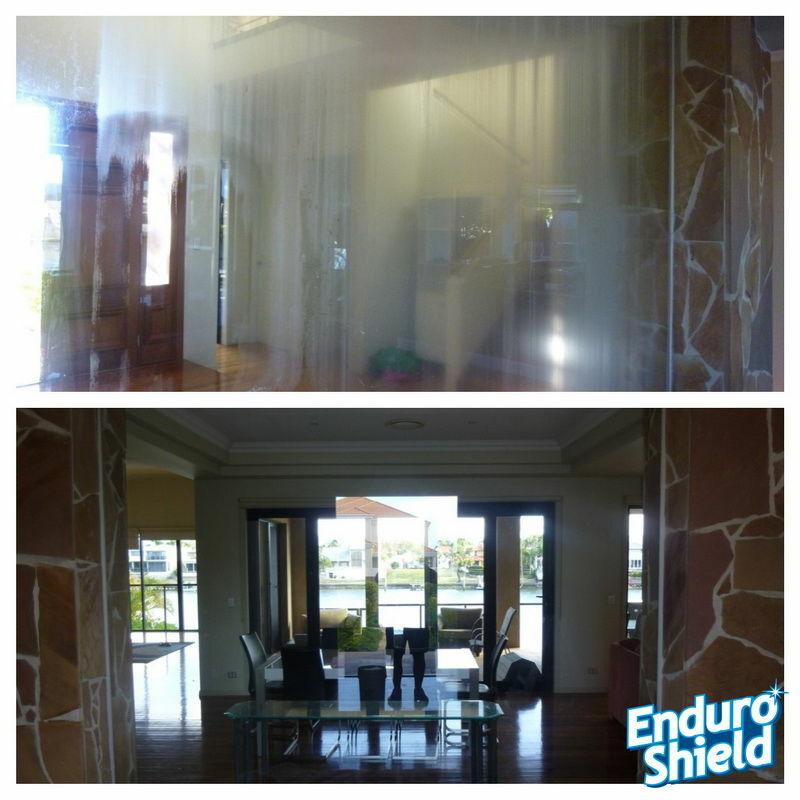 If your feature glass is stained or hard to clean EnduroShield is an ideal solution for you, weather your glass requires restoration or EnduroShield applied we have the experience and knowledge to help solve your issue. Suitable for Feature glass panels.